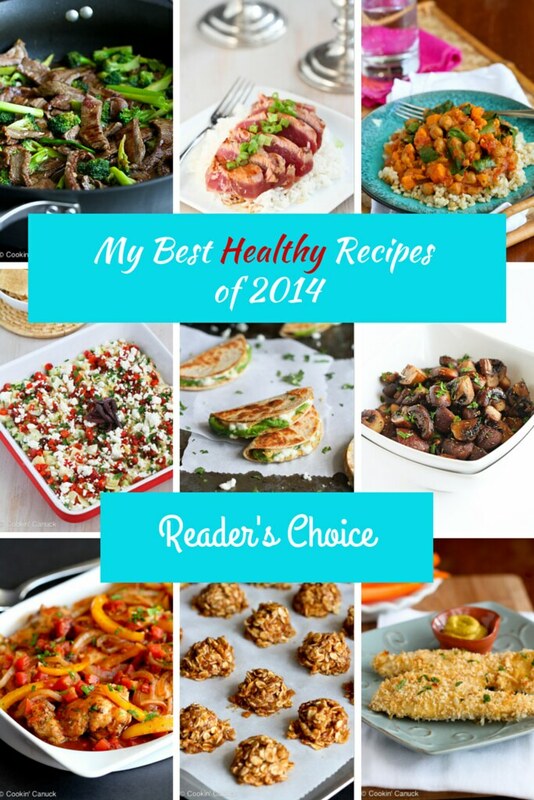 Here are my Best Healthy Recipes of the year, as determined by you! 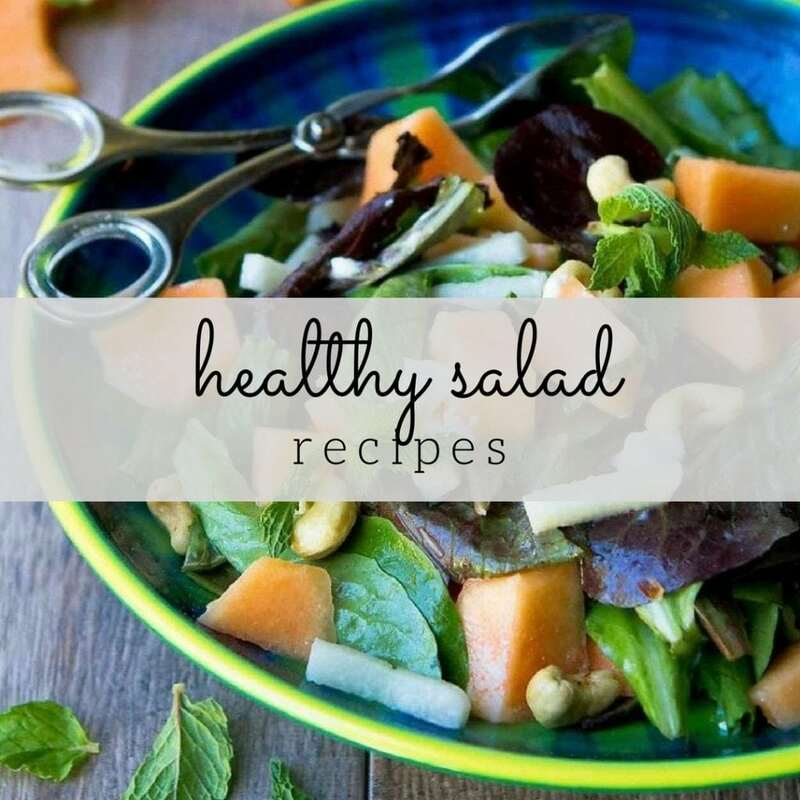 Each recipe includes nutritional information and Weight Watchers points. As the year comes to a close and we are busy preparing our favorite appetizer and cocktail recipes for New Year’s Eve, I wanted to take a moment to share my best healthy recipes posted this year. And these aren’t just some of my favorites…they’re your favorites too, as determined by reader views. As much as I get a rush with posting a new recipe (even after 5 years of blogging, that’s still the case! ), I am even more excited when someone emails me or comments on a post to let me know that they’ve tried one of my recipes. That’s exactly why I keep doing what I do. So thank you…each and every one of you…for the inspiration and motivation. Let’s dive into your favorites of the year! If any of your favorites that didn’t make the list, I’d love to hear about them in the comments below. 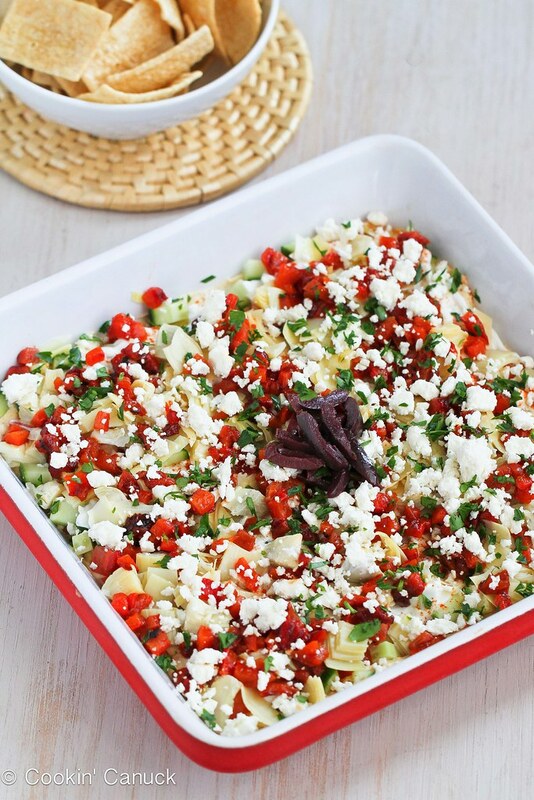 This Healthy Mediterranean 7-Layer Dip can be made in about 15 minutes and is fantastic as either an appetizer or snack. If there’s one of the layers that doesn’t appeal to you, feel free to leave it out or replace it with another ingredient. But I have a feeling you’re going to fall in love with this one! You guys must love hummus! We’re only at #2 on the list and both have starred hummus as a main ingredient. I can’t say I blame you. My kids love snacking on these Mini Avocado & Hummus Quesadillas after school, but they work really well as appetizers, too. 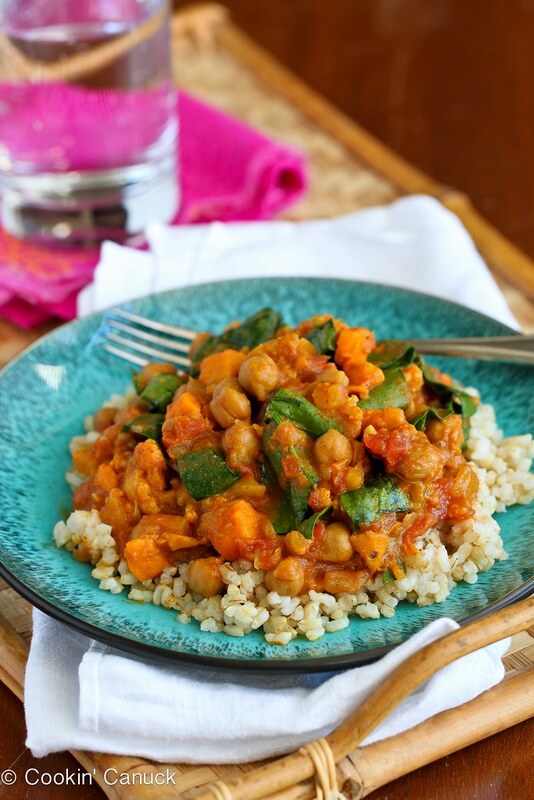 If I had a bit of the bard in me, I would wax poetic about this Slow Cooker Vegetable Curry with Sweet Potato & Chickpeas recipe. It is that good! When the instructor of the Power Pump class I attend talked to the class about the benefits of eating legumes, I asked if I could bring copies of the recipe for everyone in the class. Within the next week, no fewer than a dozen of my power pumping classmates told me that they had made the curry for their families and loved it. This is a must-try!
. If you don’t have it yet, you need to buy it! It’s time to leave those fried chicken nuggets in the dust! 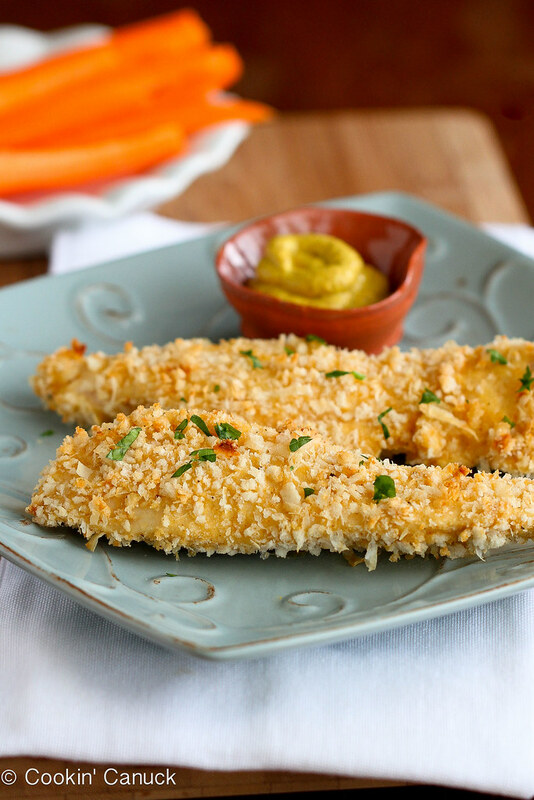 These Crispy Baked Parmesan Crusted Chicken Tenders are a hit with both kids and adults, and peace mind comes with knowing exactly what is in your chicken tenders when you make them at home. I’m not exaggerating when I say that we made these Grilled Potatoes with Rosemary & Smoked Paprika at least twice each week during the summer. They became our go-to side dish, and for good reason…they’re easy and beyond delicious! But don’t wait for the warm weather to roll around again. These potatoes can easily be made in the oven. 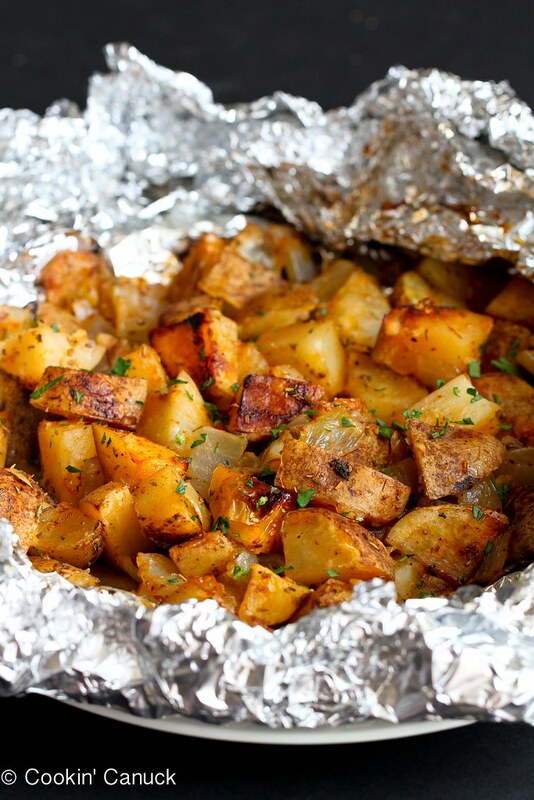 Wrap up the foil package and place it on a baking sheet in a 450 degree F oven. 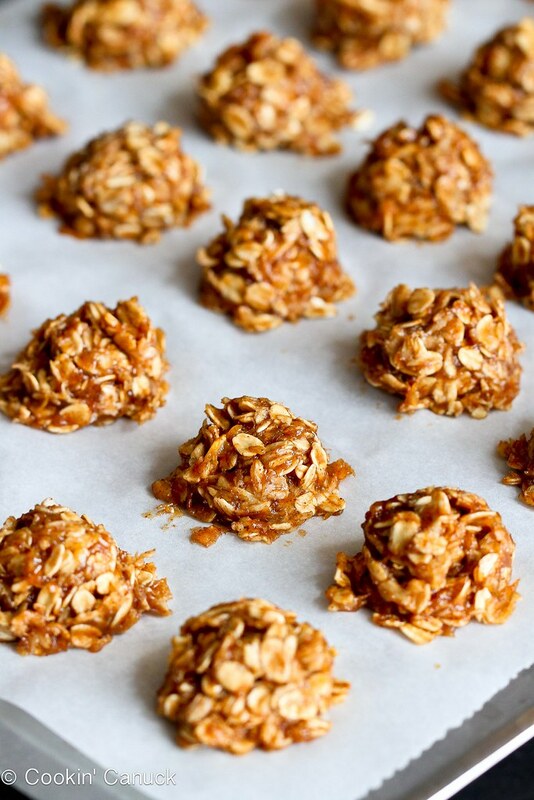 These Healthy No-Bake Banana Cookies may be considered a dessert, but they have plenty of redeeming health factors…they’re full of protein-rich almond butter and almond milk, and fiber-filled oats and they’re sweetened with maple syrup and a ripe, mashed banana. If you follow a vegan diet, this treat is for you, too! 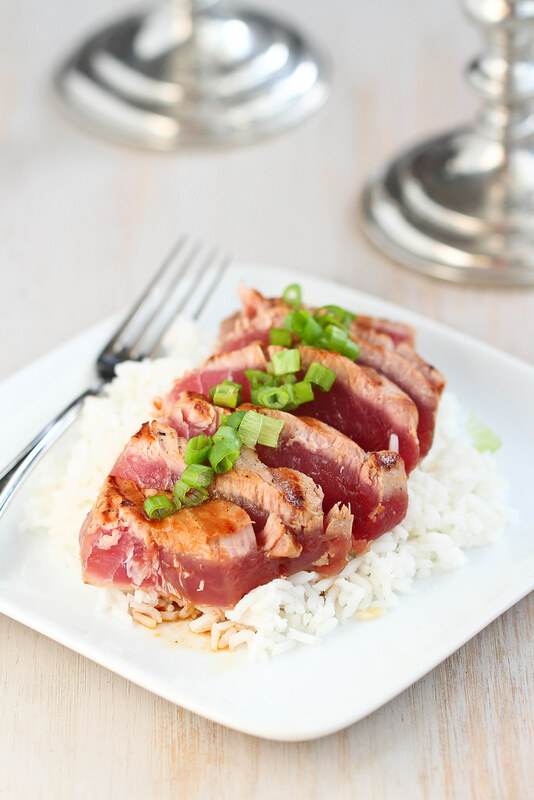 This Grilled Soy-Ginger Ahi Tuna looks kind of fancy, right? Like something you might find in a restaurant? 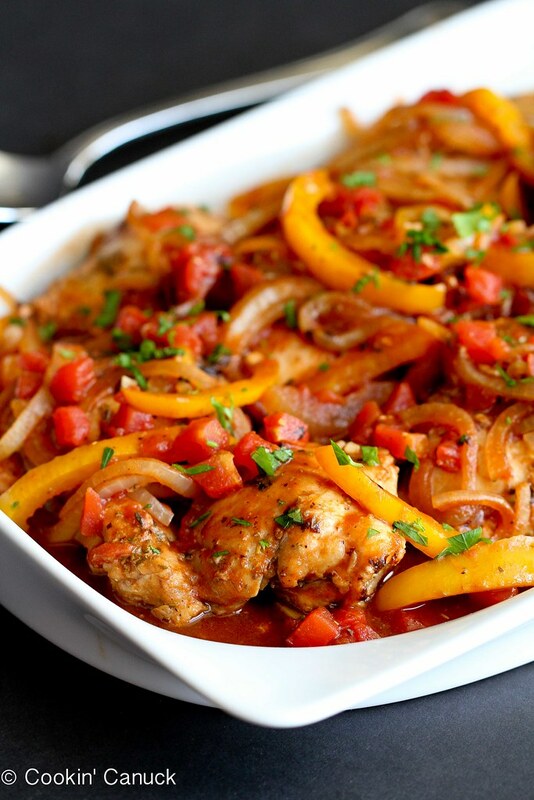 I’m going to let you in a secret – it only takes 15 minutes to marinate and 3 minutes to cook. So, whether you want to impress your special someone for a special occasion or shock the heck out of your family on a weeknight, this recipe might be for you! The thing about making and photographing recipes in the middle of the day is that you’re often tempted to down the whole portion before your family even gets home. That’s exactly what happened with these Easy Roasted Mushrooms with Rosemary & Garlic. Gone, in 5 minutes flat. If you have a little more self-restraint than me, you could serve these mushrooms in a salad, or top of chicken, beef or fish. I’ve lost count of how many times I’ve made this Easy Braised Balsamic Herb Chicken. When I draw a blank for new dinner ideas, I can always go back to this recipe because, 9 time out of 10, I have all of the ingredients in the fridge and pantry. 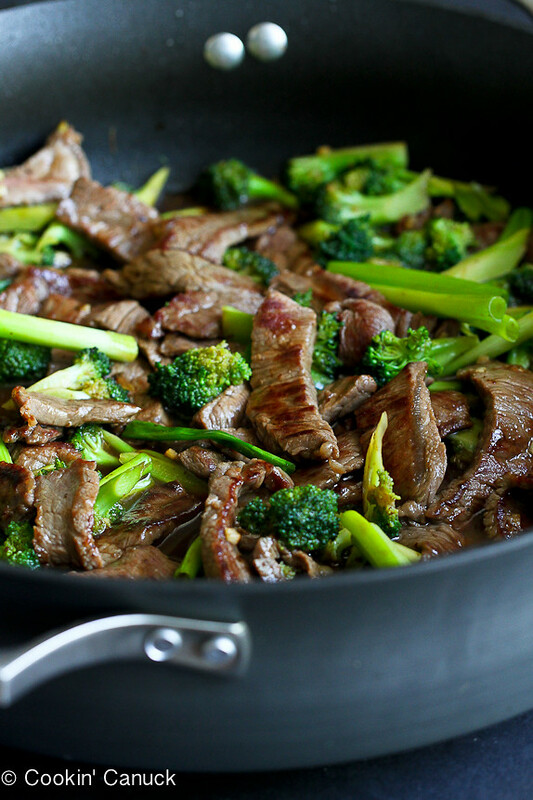 Serve this over brown rice or quinoa for a hearty, healthy and delicious meal. Happy cooking, all! I look forward to sharing more recipes with you in 2015. Great round up and thanks for pulling together my first couple weeks of healthy eating for me! 🙂 That tuna….it’s first on my list. and then the mushrooms. Happy New Year. I’ve made the roasted mushrooms a couple of times already. Everyone loves them. Also, LOVE Roasted Tomato and Chicken Sausage W.W. pasta ( I add some Sundried tomatoes, which intensifies the tomato taste) AND Hearty Chicken Stew with Butternut Squash and Quinoa. 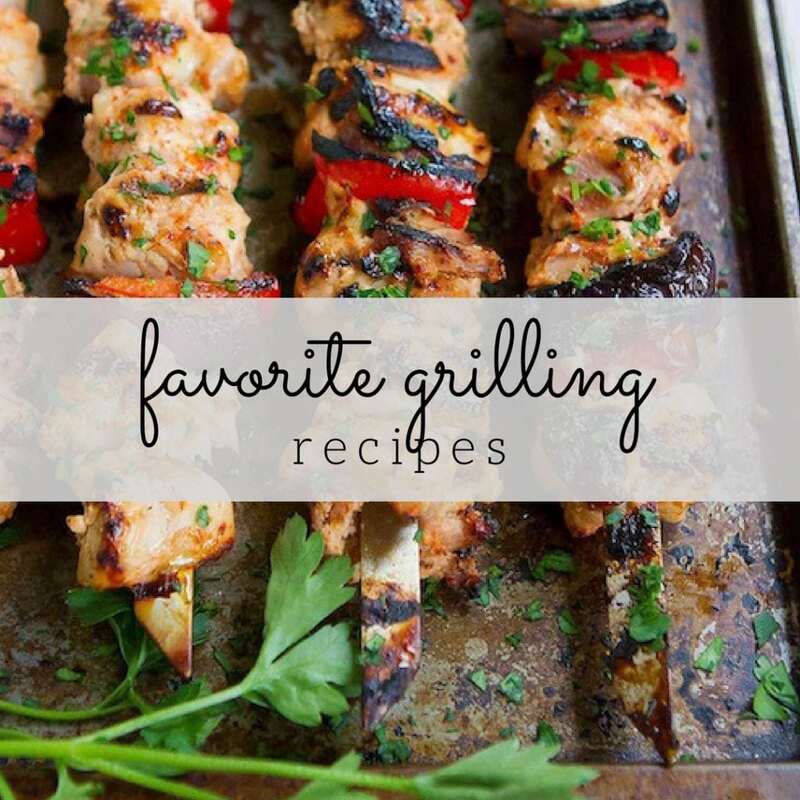 These are both fabulous, flavorful dishes that everyone loves! 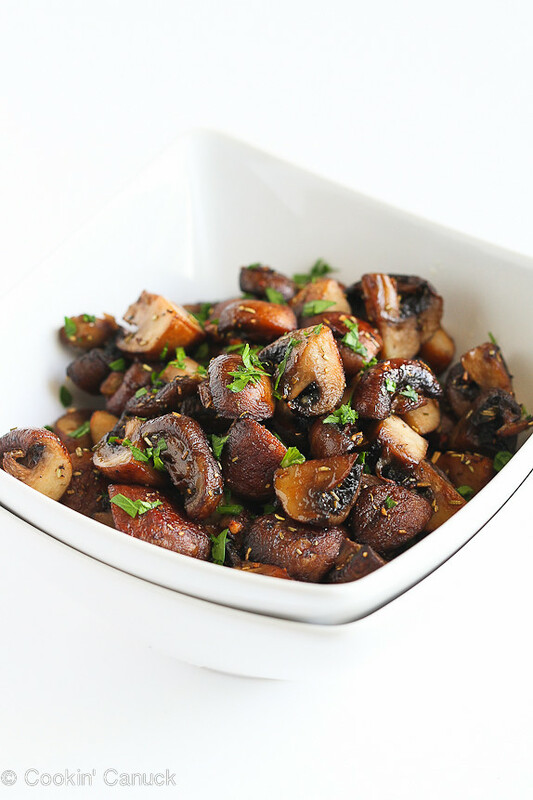 I made your roasted mushrooms not too long ago and ate them all myself – they’re one of my favorites! Happy New Year, Dara! I seldom take the time to comment, but I must say that I love your blog! I can’t think of a recipe of yours that is not delicious. In fact, whenever I tell my husband that I’m going to try another Cookin’ Canuck recipe we both know that we’re going to like it – no matter what it is! One of my favourites is the Spiced Mushroom Chickpea and Tomato stew. 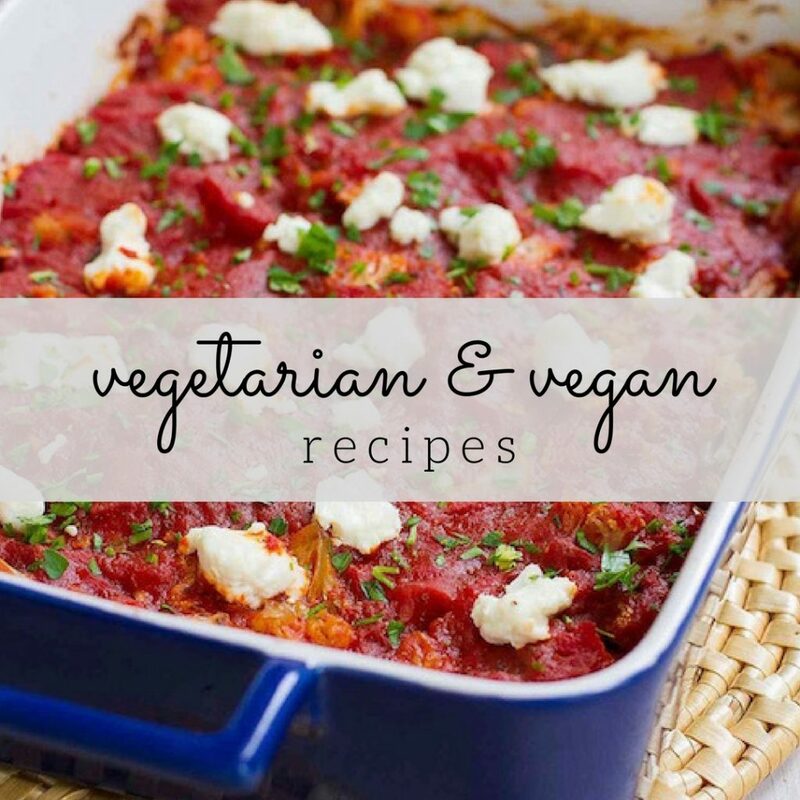 Easy to make, tasty, hearty and healthy….what else can I say? They all look great but that beautiful dip in the beginning is totally calling my name! I made the vegetable curry today and it is fabulous! I didn’t have spinach on hand so I served it over kale and this is a total winner with our family! 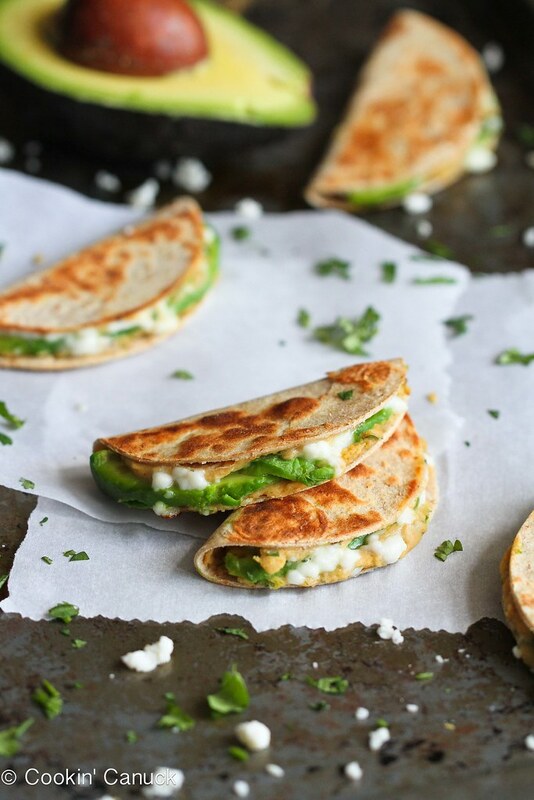 Im definitely loving the second item on this list those quesadillas look so cute and yummy! I want to try those!